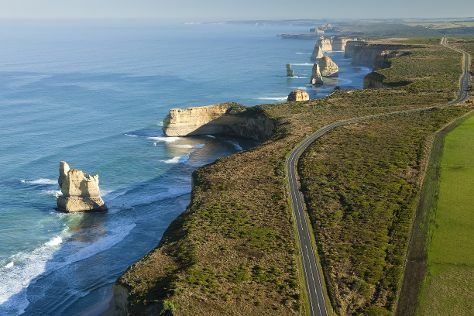 On the 2nd (Sun), cruise along The Great Ocean Road, then get great views at Point Danger Lookout, and then let the kids burn off some steam at Torquay Foreshore Play Park. To see traveler tips, photos, where to stay, and tourist information, you can read our Torquay online travel planner . Kuala Lumpur, Malaysia to Torquay is an approximately 14-hour combination of flight and bus. You can also do a combination of train, flight, and bus; or do a combination of bus and flight. The time zone difference when traveling from Kuala Lumpur to Torquay is 2 hours. In June, Torquay is much colder than Kuala Lumpur - with highs of 16°C and lows of 6°C. Cap off your sightseeing on the 2nd (Sun) early enough to go by car to Warrnambool. Warrnambool is a regional centre and former port city on the south-western coast of Victoria, Australia. Kick off your visit on the 3rd (Mon): stroll through Lake Pertobe Adventure Playground, then examine the collection at Flagstaff Hill Maritime Village, then explore the landscape on two wheels at Foreshore Promenade, and finally contemplate the geological forces at Tower Hill Wildlife Reserve. To find reviews, maps, other places to visit, and other tourist information, use the Warrnambool online vacation planner . You can drive from Torquay to Warrnambool in 2.5 hours. Alternatively, you can take a train; or take a bus. Finish your sightseeing early on the 3rd (Mon) to allow enough time to drive to Apollo Bay. Apollo Bay is a coastal town in southwestern Victoria, Australia. On the 4th (Tue), explore the striking landscape at The Razorback, don't miss a visit to Gibsons Steps, then take in the dramatic natural features at London Bridge, and finally get great views at Loch Ard Gorge. Keep things going the next day: explore the striking landscape of Port Campbell National Park. 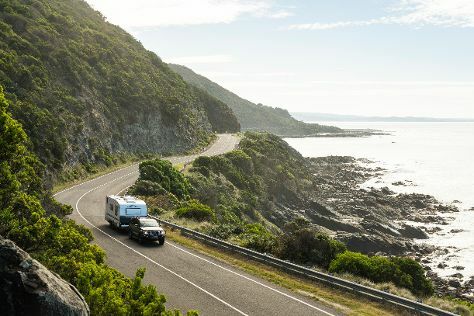 To see traveler tips, more things to do, photos, and other tourist information, read our Apollo Bay trip itinerary planner . Getting from Warrnambool to Apollo Bay by car takes about 3 hours. Other options: take a bus; or do a combination of train and bus. You'll set off for home on the 6th (Thu).